Chances are if you are Amish or English—what the Amish call the non-Amish—you will find it at the Colonville Country Store, a couple miles northwest of Clare, Michigan. 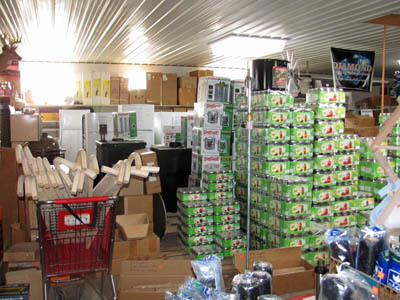 Dan and Mary Ann Hochstetler run the store that is open from 8 a.m. to 6 p.m. every day except Thursday and Sunday (like many Amish establishments). 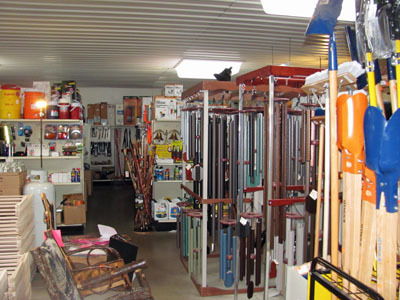 At first glance, this store is similar to other hardware/outdoor/farm stores found in Clare or other nearby farming communities. Although there is a hitching post and Amish buggy in the parking lot (the photo of the horse at the top of this post was taken in their parking lot), cars predominate and the lot is full, especially on summer and fall weekends. There is also a digital cash register and credit card reader to make it easy to purchase any of the items in their 7,500 square foot store. They even can be reached by phone (cell phone, that is). But what you won’t find are electric lights. Come in during a bright summer day and you won’t notice the lack thereof since the large skylights let the sun light in. But stop by on late fall day when the snow clouds hang low in the sky and you will hear the faint hiss of the propane jets in light fixtures above your head as the lit silk mantles throw their light onto the open aisles and merchandise covering the shelves. The lights have much in common with their camping lantern brethren, which by the way, you can also purchase at the store. 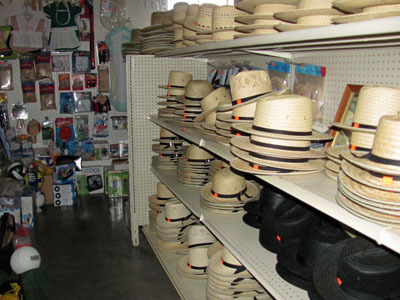 Because the store also serves the Amish in the area, many of the items stocked in the store, such as Amish hats for men and women, medicines and non-electric appliances, are aimed at that category of shopper. 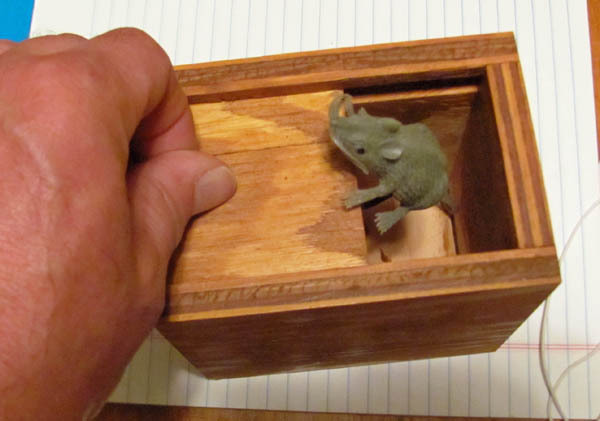 But their inventory also allows English shoppers to pick up items not often found in big-city stores, items like wooden toys and children’s books popular in the early- and mid-20th century. The owners are friendly and one of the young men working at the store could have been a model (if such a thing as Amish models exist). So stop by for a visit the next time you are in ClareCounty. 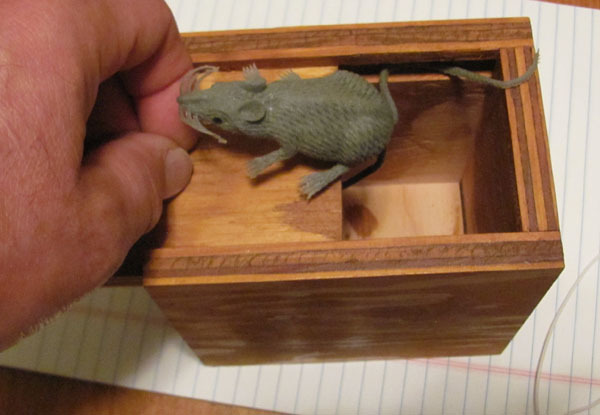 And purchase one of those mouse boxes. 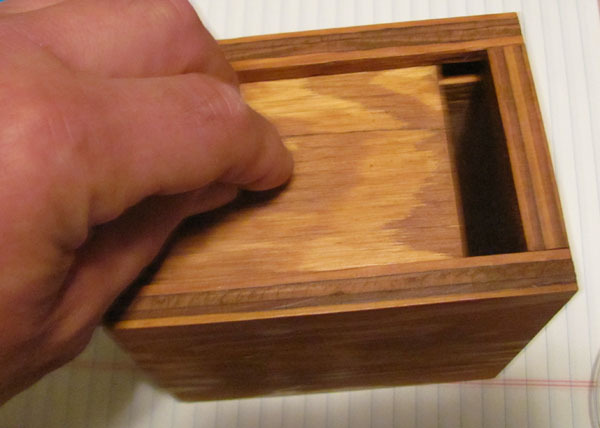 Handmade and under $10, they make great gifts. 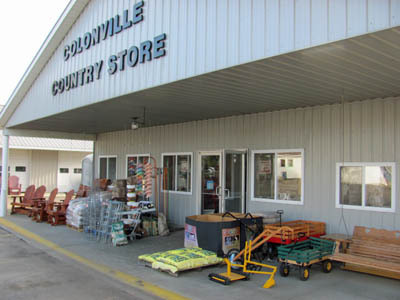 The Colonville Country Store is at 7047 E. Colonville Road. Colonville Road is just north of the U.S. 127 overpass north of Clare. Then go four miles east. The phone number is (989) 386-8686. Hi. You will need to contact the store since I only wrote about their store and I shop there. I don’t have anything to do with it otherwise. Their phone number is (989) 386-8686. Good luck!